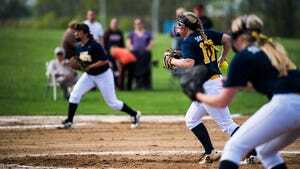 There weren’t many surprises in YAIAA softball this season. Sure, maybe some didn’t realize Susquehannock would be this good, or that Central York would play at such a high level after graduating eight seniors from last year’s team. But for the most part, the top teams lived up to expectations. Now we finally get to find out which team is the cream of the crop. The YAIAA tournament takes place next week, with the semifinals on Monday and the championship game on Tuesday. Here’s a look at both semifinal matchups. The skinny: The reigning tournament champions, the Panthers were undefeated until Monday when division rival Dallastown managed to gut out a 4-3 win. Still, Central York has an extremely deep lineup that is hitting .379 as a team and a pitching staff that has posted 12 shutouts and allowed just 24 runs this season. The Panthers enter the tournament as the favorites once again. Can Littlestown become the second team to figure out the Panthers? It won't be easy, but it's not unfathomable. With every player from last year's division champion team back, the Thunderbolts are both dangerous and experienced. They're also hungry, determined to win the league title after losing in the semifinals last season. The challenge for the Bolts will be proving they can play with a top Division I team. While Littlestown has been dominant this season, it hasn't played the same level of competition that Central York has. Players to watch: Both teams are very deep. Central York's top pitcher this season has been Rachel Butler, but coach Shane Walker has two more quality arms he can go to in Cheyenne Miller and Courtney Coppersmith. Offensively, Butler (.390 batting average), Miller (.482 avg), shortstop Erin Cabry (.481 avg) and third baseman Cameryn Rothrock (.471 avg) highlight the Panthers' lineup. As for Littlestown, senior McKenzie Somers (11-2, 0.95 ERA) has been the Bolts' go-to pitcher all season. They'll need her to be at her best if they're going to pull off the upset. Power-hitting shortstop Kaitlin Yealy (.412 batting average, five home runs, 24 RBIs) leads a lineup that tore apart Division III pitching this season. Catcher Amanda Dyson (.510 avg) and outfielder Jill Gauthier (.551 avg) are just two more of Littlestown's many strong hitters. The skinny: When the two teams met on April 4, Susquehannock defeated the defending District 3 Class AA champion Squirettes, 7-2. It was one of many statement wins for the Warriors, who started the season 11-0 and established themselves as one of the best teams in the league. But the Warriors haven't been quite as sharp recently, going 4-3 the last three weeks and losing to both Spring Grove and Gettysburg. On the other hand, Delone Catholic entered 2016 with big expectations after bringing back most of last season's lineup. And with their only losses coming to Susquehannock and Littlestown, the Squirettes have lived up to the hype. But while they won't be satisfied with anything less than a return trip to the YAIAA title game, it'll be tough for them to get past the Warriors. Still, Susquehannock can't afford to sleep on Delone. If the Warriors have another off-game, they could definitely get upset. Players to watch: Susquehannock center fielder Mallory Lebo (.500 avg, 21 stolen bases) is the player who makes the Warriors go, a top-notch fielder, contact hitter and base stealer. The Warriors are also led by pitcher/third baseman Maddy Staub and catcher Lily Yoakum. Delone Catholic has been powered by the senior trio of shortstop Shelbee Holcomb, third baseman Katie Laughman and pitcher Cassie Rickrode all season. All three are hitting over .500 and Rickrode has posted a 1.67 ERA and 112 strikeouts in 92 innings. The winners of the two semifinal contests will play in the YAIAA title game at 5 p.m. Tuesday at New Oxford.